Home / interview / Our Expert Explains: A trade war between the US and Rwanda? Why? Linda, so what’s happening in Rwanda, and how is the US involved? While the trade war between the United States and China continues to grab the headlines, another trade battle is taking place between the US and Rwanda. In a bid to boost its manufacturing base, two years ago the Central African country increased tariffs on imports of second-hand clothing, with the eventual aim to completely phase out the second-hand clothing trade domestically. Fearing the impact this could have on its exports and on the tens of thousands of its own workers involved in the second-hand clothes trade, the US responded by suspending access to the US market through the Africa Growth and Opportunity Act (AGOA) for Rwanda. Well, was the US justified? Had Rwanda’s new tariffs hurt the second-hand market? 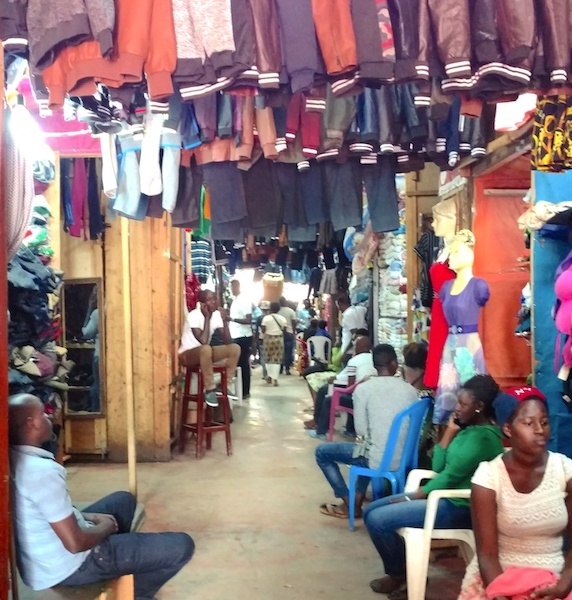 I recently visited Kigali, and personally witnessed how the reduction of used clothes imports in the Rwandan market and the suspension of AGOA have caused negative consequences for both traders of second-hand clothing and exporters of new clothing. Despite much researchon East Africa’s decision to phase out used clothing imports, we know very little about its consequences for its citizens. So, during my last visit to Kigali a couple of weeks ago, I went to Nyabugogo market to look for second-hand clothing (called caguwa in Kinyarwanda). Talking to used clothing sellers, it was clear that the situation has deteriorated for them. In 2016 they could buy a second-hand shirt from importers or wholesalers for RWF 1,500 (around USD 1.8), while now the wholesale price can go up to RWF 5,000 (almost USD 6). Higher wholesale prices mean higher retail prices for consumers, and the sellers confirmed that the number of customers has decreased. In addition, sourcing good second-hand clothing that will sell in the market has become increasingly difficult. A seller pointed out to us that the market was now half empty – a lot of the shops had closed down, and many of the stalls previously selling clothes have now reconverted to fruits and vegetables. Isn’t that good news then, that the second-hand market is shrinking? Isn’t that what the Rwandan government wanted? Well, if the phase-out had generated huge investment in the garment sector in Rwanda, this would be the positive shift the government wants. Those who lost their jobs and earnings in the second-hand clothes market might have found new opportunities in the newly established factories, or even started selling newly produced clothes instead. However, this has not happened. Two years down the line, we do not know of any new factory setting up because of the phase-out. The phase-out has only really had negative consequences on the population so far. So should the Rwandan government bow to US pressure? The US had decided just to suspend AGOA, rather than cancel it to “allow for continued engagement with the aim of restoring market access”. However, the Government of Rwanda has made it clear that they will not change their mind on the phase-out. That means that now, unfortunately, the AGOA suspension is kicking in and is only making matters worse. Despite the fact that Rwanda’s exports under AGOA are still limited, the negative impact of the suspension could become significant. During my visit I also went to see one garment producer. This factory has started operations in Kigali to take advantage of some favorable conditions, including duty-free access to the US market through AGOA. Now they are suddenly finding themselves to be less competitive on the US market, and the future of their exports is unclear. So AGOA is actually cutting into Rwanda’s manufacturing base. It’s potentially very damaging. This seems like an untenable situation. How can the deadlock be broken? You’re right it is untenable, especially for Rwanda. East Africa needs to develop its manufacturing, and the garment sector is one of the most likely candidates to jumpstart this process. Many countries who industrialized in recent years did so by setting up a competitive apparel production. But the countries who became successful garment producers and exporters often succeeded because they had some preferential access to export markets. If AGOA is completely terminated for Rwanda, it will make it more difficult to pursue this route. And even though the government of Rwanda is going to support exporters in the short term by taking over their tax obligations, and in the long term by seeking new markets to export to, the US remains potentially a large market, and one that Rwanda has not tapped into fully. You mention Rwanda should look for new markets and attract investors… what about sending clothes to the Chinese market, and new Chinese factories? Can China help at all? Well, interestingly enough, when Rwanda and several other East African countries first announced the second-hand clothes tariffs and the phase out (the other East African countries later bowed to US pressure), China was drawn into the discussion. A report published last year argued that “China, rather than the local industry, is the most likely and immediate beneficiary of a phase out”. But this claim requires clarifications. 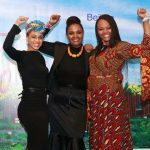 While Chinese companies in China do export clothes to Africa, many Chinese garment factories have actually recently set up shop in Africa, taking advantage of AGOA to export to the US market. These factories create jobs, transfer skills and help host countries diversify exports. While the Chinese factories can also serve the Chinese market – Rwanda does also benefit from China’s duty free treatment of products from Least Developed Countries – but it’s important to have diverse customers. Without AGOA, East Africa is likely to lose some of its attractiveness as an investment destination, damaging both investors from China and East African citizens. So China has an interest in this situation being resolved too, as soon as possible. So what next? What do you recommend for Rwanda and the US? Personally, I do not think the phase-out has been successful, and I don’t think it was really necessary. But the government of Rwanda is at the same time implementing many good policies to promote investment in manufacturing – such as making it easier to invest, and improving infrastructure, for example around new special economic zones. Making the Rwandan garment sector competitive at the international level and attracting world-class investors – including from China and the US – is something the government of Rwanda should continue to do, and ideally speed up the process. On the other side, the US should urgently reestablish access for Rwanda under AGOA. This remains very important to expand and diversify Rwandan exports. And rather than taking punitive action, the US should be actively supporting the Rwandan government to promote investment in manufacturing, including through its aid instruments, for example the new BUILD development financing agency it is looking to introduce. In my view, trade relations are not a zero-sum game. It’s possible for everyone to work together to win. And I hope they will, for the benefit of Rwanda’s population. Linda Calabrese is a Research Fellow at the Overseas Development Institute and is working with Development Reimagined on a new project related to promoting textiles and garment manufacturing in East Africa.